We caught the bride looking over her shoulder at the camera with an effortless smile. In black and white, the bride’s veil and Vera Wang dress stand out. 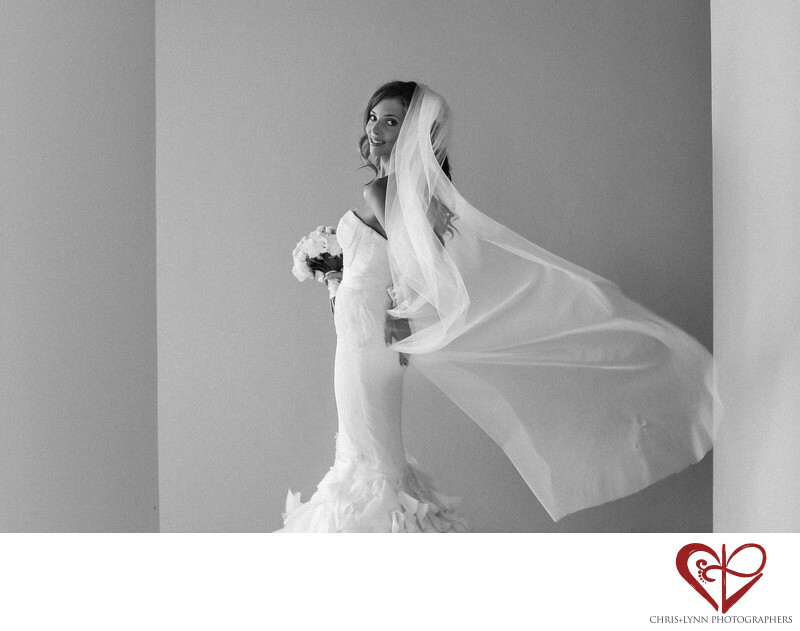 The wind coming through the hallway causes the bride’s veil to dance in the breeze. With her hands on her hips, Erica truly looks like a model! She’s all ready to walk down the aisle. One of our favorite parts of every wedding is letting the bride and groom have fun with their portraits, striking different poses and enjoying the spotlight. 1/100; f/2.2; ISO 100; 50.0 mm.